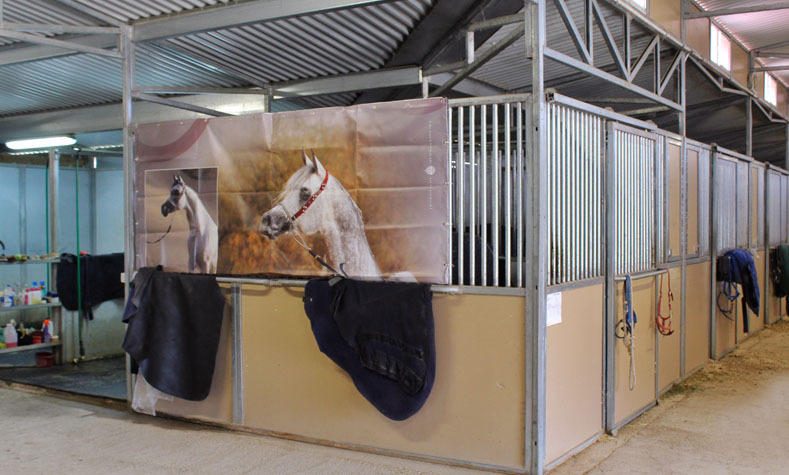 International barn sales and equestrian facilities dealer Coffman Barns, has been serving the equine industry since 2000. 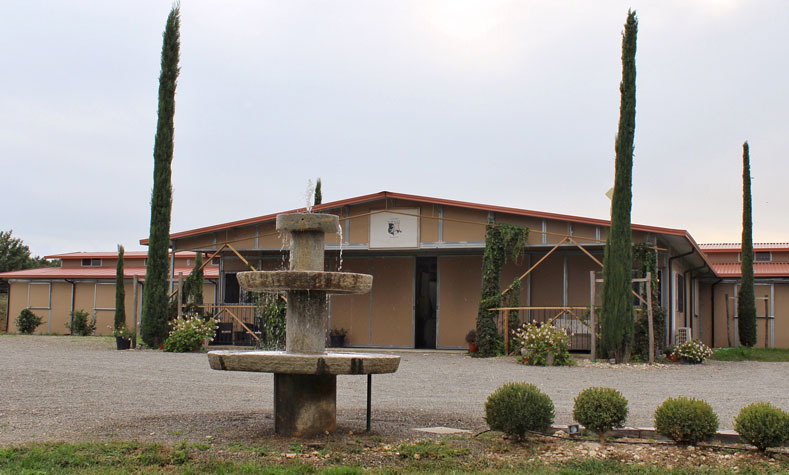 Located in Colorado, Coffman Barns is not only an authorized MD Barnmaster dealer, but has sold barns in Italy and Mexico. (See pictures below). 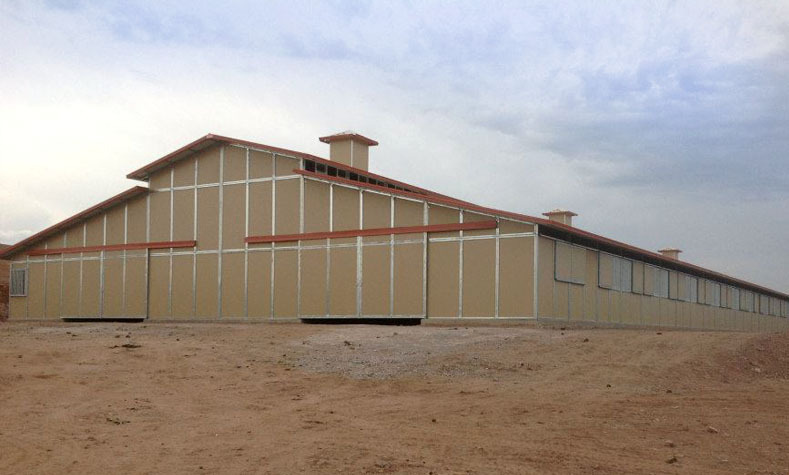 We can assist industry professionals realize the benefits of the MD Barnmaster line of barn products, as well other modular, pre-engineered Agricultural and Commercial Buildings. 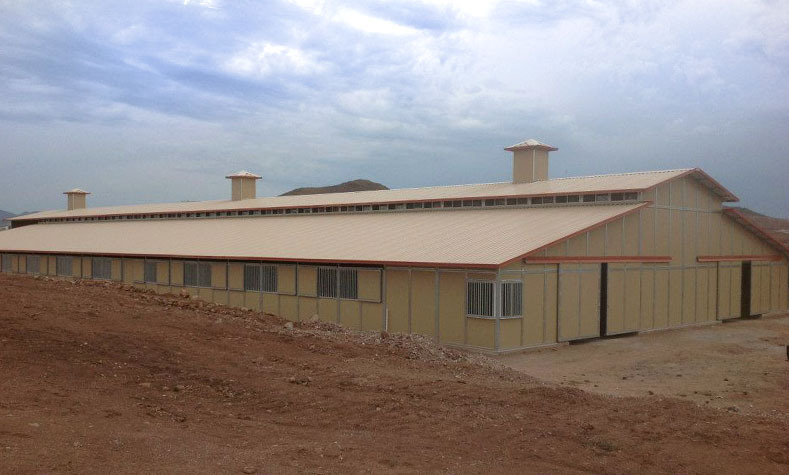 No matter what size facility, we have a proven international track record. We’re extremely professional, timely, courteous and efficient so contact us today to learn more, or to get a no-hasle quote. 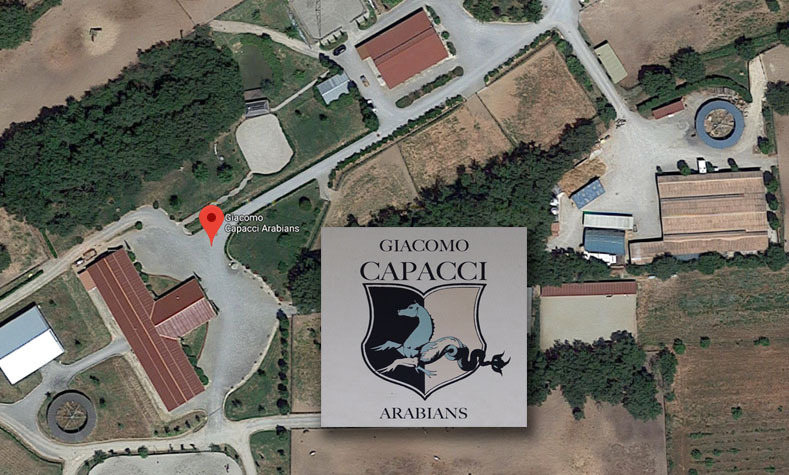 International Barn Sales, Coffman Barns is honored to have been a part of the first American made, MD Barnmaster barn to be imported into Italy and came to rest at the beautiful farm in Cortona Italy for Giacomo Capacci, the premier Arabian trainer and breeder in Europe. 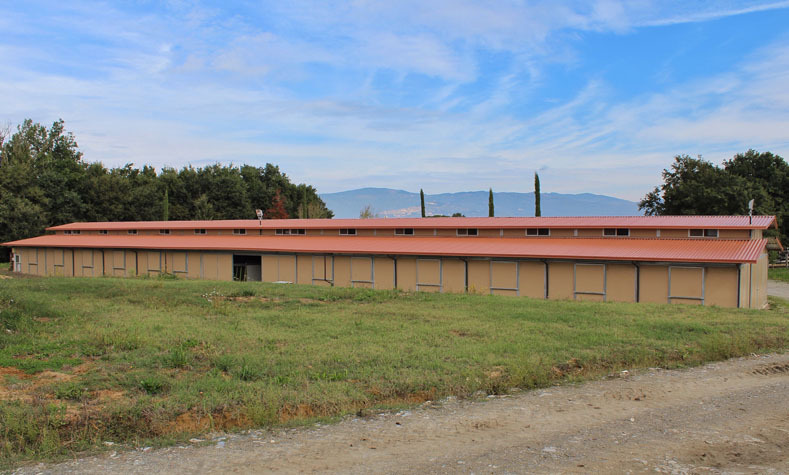 After receiving the lead via the internet, finalizing the plans, engineering and shipping, Randy Coffman flew to Italy oversee the installation. 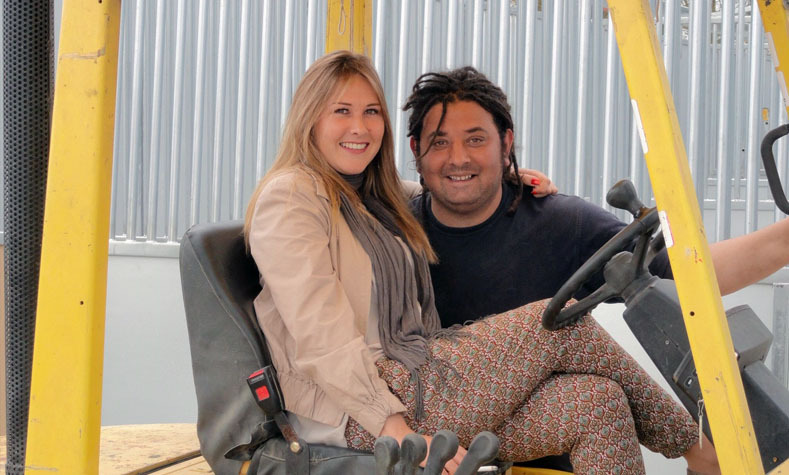 The construction experience was very much like the movie Under a Tuscan Sun. The barn plans were in English but none of the crew spoke any English. The erecting crew had three Italian’s and two Polish workers. The concrete crew were Sicilian. It was a show and tell type of scenario. The break truck was a tiny van that rolled in around 10am and when the rear doors were opened the sight and aroma’s of freshly baked bread consumed your every thought. 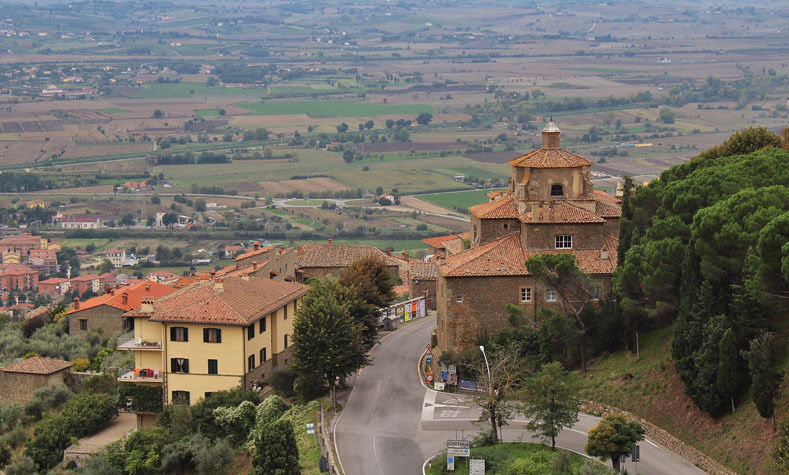 Then around noon the crew disappeared and after Randy asked Michelle where a good place to eat was, she directed them to a local pizza place in a nearby town of Centoia, which was the only restaurant in town. Barbarullo – bar tabacchi e trattoria… thats where they found the crew eating bread with carafes of wine on the table and waiting for their pizzas. They joined them and had such a wonderful time. 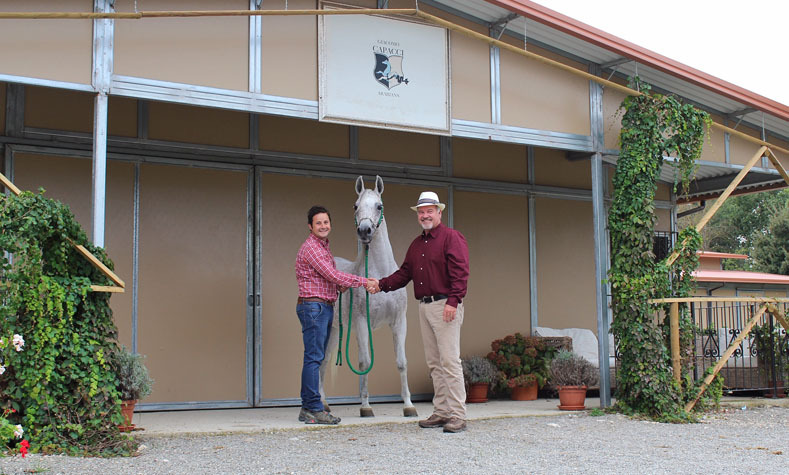 They had less than half of the barn erected when Randy had to go back home but Randy was so impressed with Giuseppe and the crew, which did a fantastic job erecting and completing the barn. 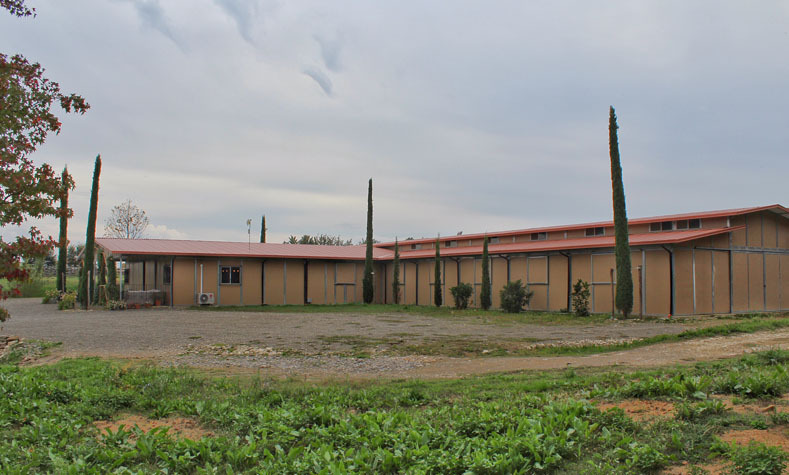 Barn Features 24 Stalls with 16′ cross breezeway center isles, office, restroom, utility room, tack room and four groom/wash bays. 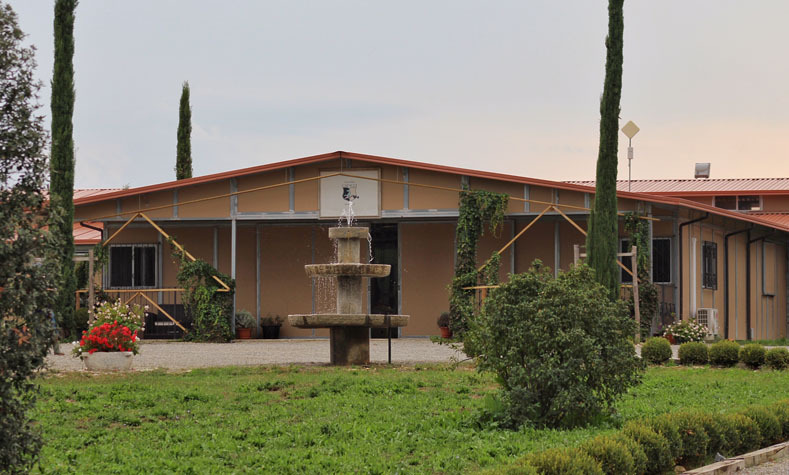 No matter if you live in Italy, France, Spain, Germany, UK, the Netherlands, or ay where in Europe, we can design, engineer and ship your barn or equestrian facility internationally. 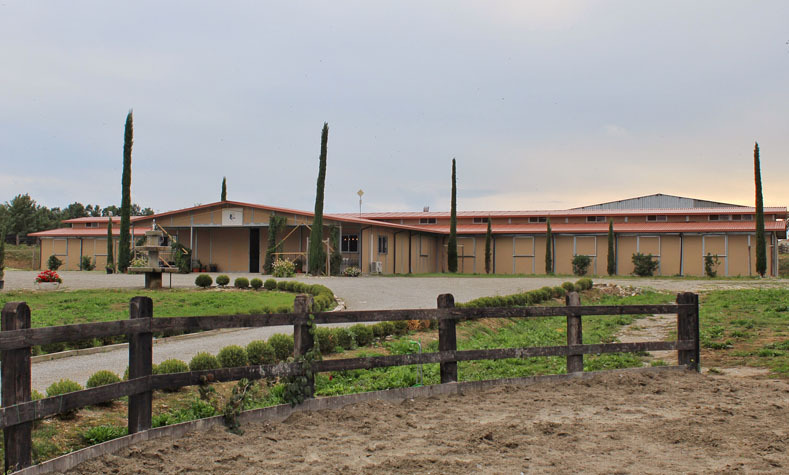 Coffman Barns is honored to have been selected to be the international barn sales dealer for this beautiful MD Barnmaster 40 stall Hunter Jumper barn, located in Chihuahua Mexico. This lead came from the internet, after which Randy made several trips to the site to oversea foundation preparation, delivery and installation. 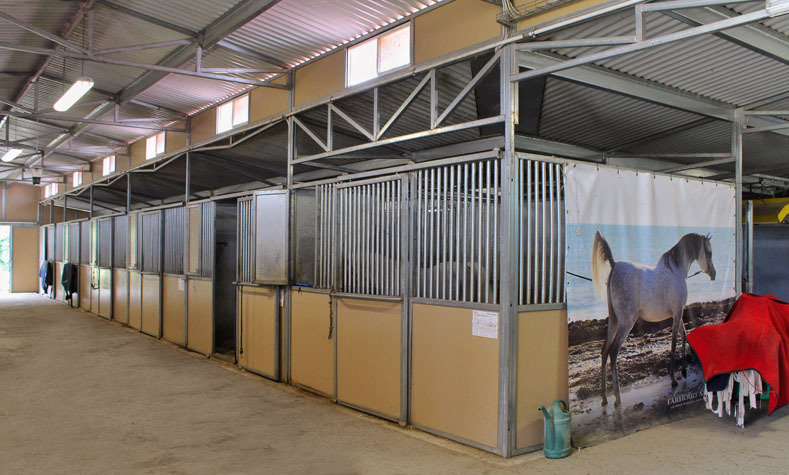 If your a equestrian or agricultural professional, or you represent a commercial facility, then look no more for the very best in pre-engineered modular buildings. 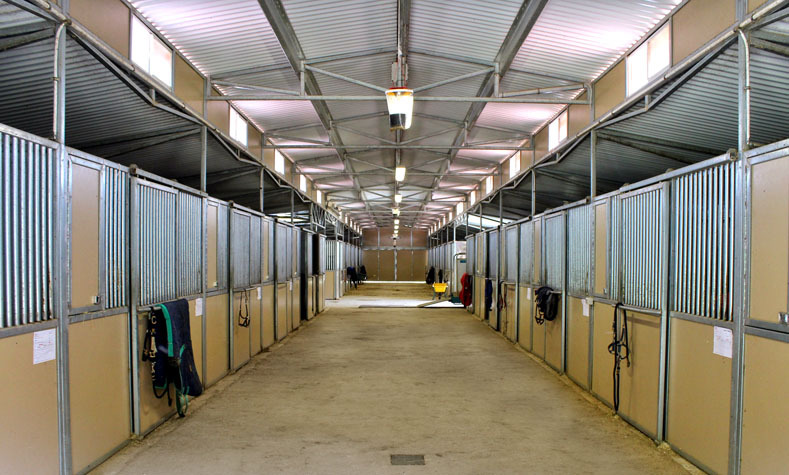 With over 40 years experience, our barns feature the very best in safety features like kick proof, chew proof, zero% fire spread rating for darn near fireproof walls, non bacteria harboring stall walls that prevent disease, and 40 year paint system that will stand the test of time. 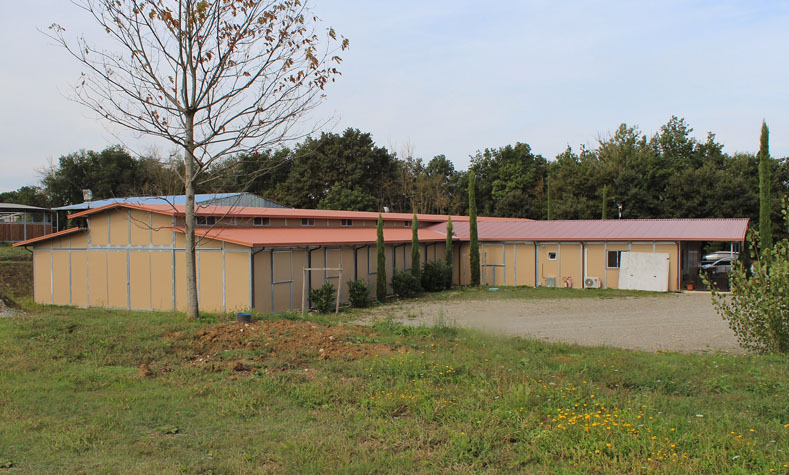 Barn Features 40 Stalls, office, 4 groom bays, 4 wash bays, feed room, and covered hay storage. 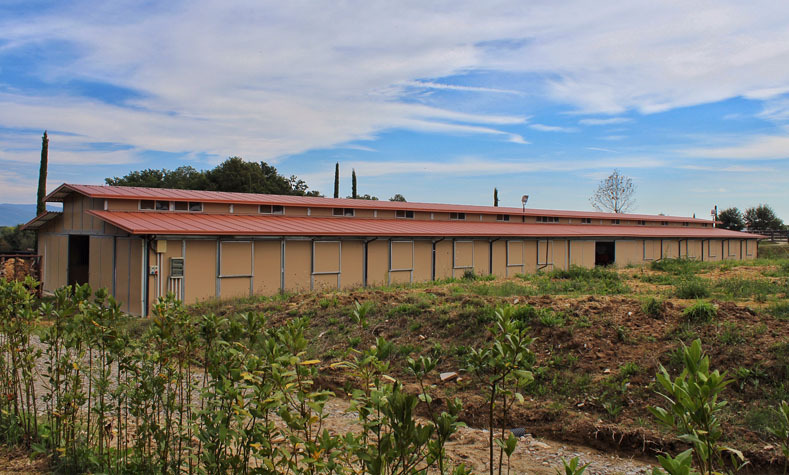 See our extensive product line and discover why Coffman Barns is the best choice for international barn sales and equestrian facilities for Europe, North America and Mexico. Best in customer service, ease of ordering, construction, quality, and overall value. 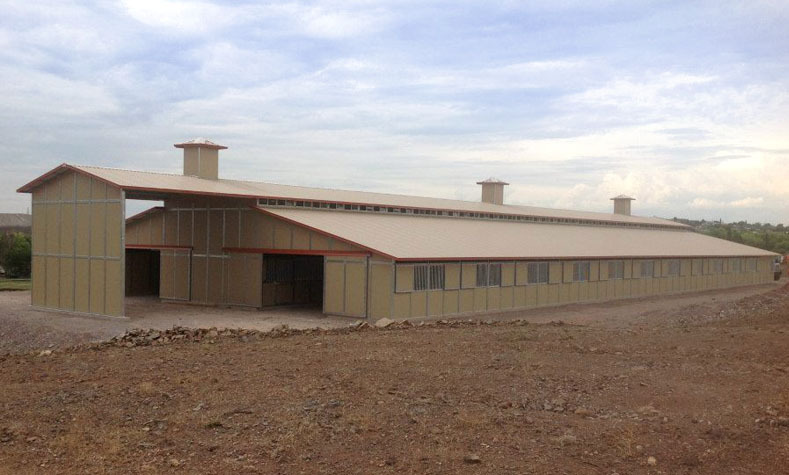 If you would like more information, please call Toll Free at (844) BARNS4U or email us at barnologist@coffmanbarns.com. 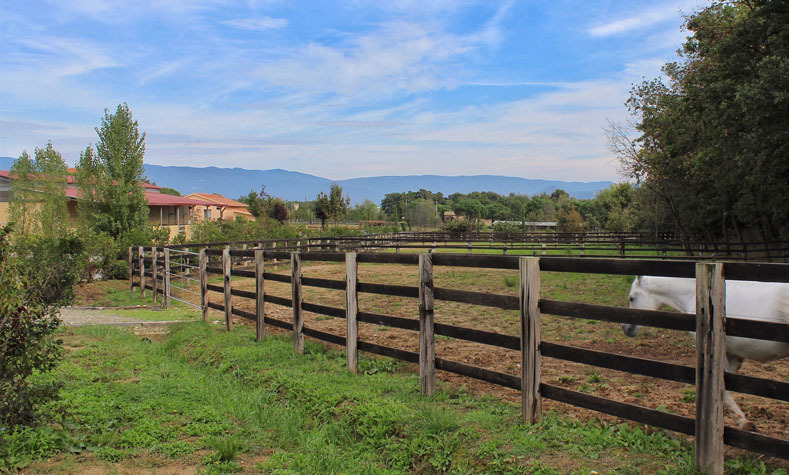 Contact us for International Barn Sales!